Agimat (bertud or anting-anting) - mythical object; a Filipino word for amulet or charms. Balagtasan - Filipino debate in extemporaneous verse is named Francisco Balagtas, a prominent Filipino poet, and is widely considered as one of the greatest Filipino literary laureate for his impact on Filipino literature. The famous epic, Florante at Laura, is regarded as his defining work. Folklore - the traditional beliefs, customs, and stories of a community, passed through the generations by word of mouth. Folk Song - a song that originates in traditional popular culture or that is written in such a style. Folk Tale (kwentong bayan) - a story originating in popular culture, typically passed on by word of mouth. Juan Tamad - Filipino for Lazy John; a character in Philippine folklore noteworthy for extreme laziness. Legend (alamat) - a traditional story sometimes popularly regarded as historical but unauthenticated. Bungisngis - a one-eyed giant. Bathala - Bathala, Diyos or Apo it is the creation god in Filipino myths. Ekek - are creatures who are bird-like humans. Malakas and Maganda - Strong One and Beautiful One; are Filipino versions of Adam and Eve. Mambabarang - (summoner) is a witch who uses insects and spirits to enter the body of any person they hate. Manaul - a mythical king who became a bird. Mangkukulam - are witches, wizards, or sorcerers who cast evil spells to humans with uses dark magic. Mariang Makiling - a fairy who dwells atop Laguna's Mount Makiling, an inactive volcano. Santelmo - or Santo Elmo, is a fireball seen by dozens of Filipinos, especially those living in the Sierra Madre Mountains. Sarangay - a creature resembling a bull with a huge muscular body and a jewel attached to its ears. Sirena - mermaid, a sea creature with a human upper body and a fish tail instead of lower extremities. Siyokoy - mermen, sea creatures that have a human form and scaled bodies. Wakwak - night birds belonging to a witch or vampire or the witch or vampire itself in the form of a night bird. 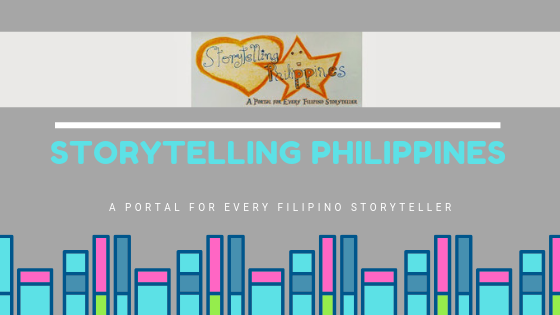 Philippine Mythology - pertains to Filipino ancient culture with its mythology: myth(s), legend(s), folklore, folk tales, folk stories, lore, tradition. Poems (tula) - a piece of writing that partakes of the nature of both speech and song that is nearly always rhythmical, usually metaphorical, and often exhibits such formal elements as meter, rhyme, and stanzaic structure. Proverbs (salawikain) - a short pithy saying in general use, stating a general truth or piece of advice. Riddle (bugtong) - folk speech; a question or statement intentionally phrased so as to require ingenuity in ascertaining its answer or meaning, typically presented as a game.